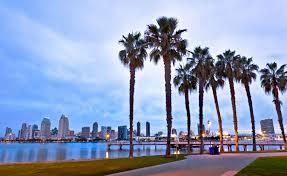 San Diego is known for its scenic beaches, historic landmarks, and incredible weather. The mix of a big population, beach town mentality, along with vibrant communities and natural beauty make for a truly exciting place to live. As dynamic and appealing as San Diego is, so are the opportunities for selling a home. This is something that I have used time and time again for my clients that are looking to sell quickly. A simple yet effective route to using this method is to start at an asking price below the median price of homes in your immediate community. This entices home seekers to your offer and help it stand out among other home asking prices for nearby homes. This helps facilitate a large number of offers which will lead to a growing bidding prices among interested parties. Through careful analysis of the neighborhood value and desiribility, this is a very effective way to drive the up the price of your home. To learn more about how I applied this home selling technique in San Diego, watch my video testimonial with a client that sold her home for 15k above the initial asking price. 2) Sure Your Home is Staged, But is it Staged With Purpose? When is comes to preparing a house, condo, apartment, or townhouse for the market, staging is one of the most important things you can do. But its not making your house look nice and tidy that matters. Staging with purpose is about appealing to your target demographic and making them feel as if they could live in it as soon as they arrive for the open house. By keeping who you want to buy the house most when staging the home allows it to naturally speak to those potential buyers better. It becomes an easier process for imagining what it would be like for them or their family to live in the home. When a home is staged purposefully in this way, it allows you to raise the asking price since prospective buyers are subconsciously selling themselves. Strangers aren’t stopping by every few hours expecting to get a tour of your home. You also don’t need to clean your home three times a day for tours of your home. You can expect reduced inspection fees, preparation costs, and cleaning expenses. Plus, you’ll either eliminate or greatly reduce the amount of an agent’s or broker’s commission. Buyers will typically pay market value or above market value for an “exclusive” property, especially in a hot market or buying upswing. When you sell off-market, you do it your way, on the days and times you choose, without any time constraints or pressure. The actual transaction is usually friendlier, too. Don’t be afraid to work with a real estate agent, appraiser, attorney, or escrow firm when you need to —especially once contracts get involved. A real estate transaction is pretty complicated and always involves some risk, so don’t shy away from professional advice. You can sometimes negotiate a flat or hourly rate, too. There are many tips and tricks to sell your home in beautiful San Diego, but utilizing these tips that I’ve provided can give you an insight how to better market your home to sell!